The offices of the Chief Election Officers will start counting of the votes from Thursday evening in tight security arrangement, keeping in view incidents of violence or scuffles that could occur during vote counting in various districts. The vote counting centres will be equipped with close-circuit television cameras and the wired fences will be put up around the centres to secure the ballot papers. The first phase of elections to the House of Representatives and Provincial Assemblies was held in 32 districts on November 26. Following the elections, the ballot boxes have been kept in the constituency-based government offices or the district headquarters under the tight security. “We have planned to complete the vote counting by Saturday evening,” said Dipak Khanal, chief election officer of Sindhupalchok district, informing the media that the vote counting will start in the district from Thursday evening. A total of 226, 540 people had cast their vote in Sindhupalchok. Representatives of political parties will be kept at bay, allowing them only to watch from outside the wired fences, according to EC officials. 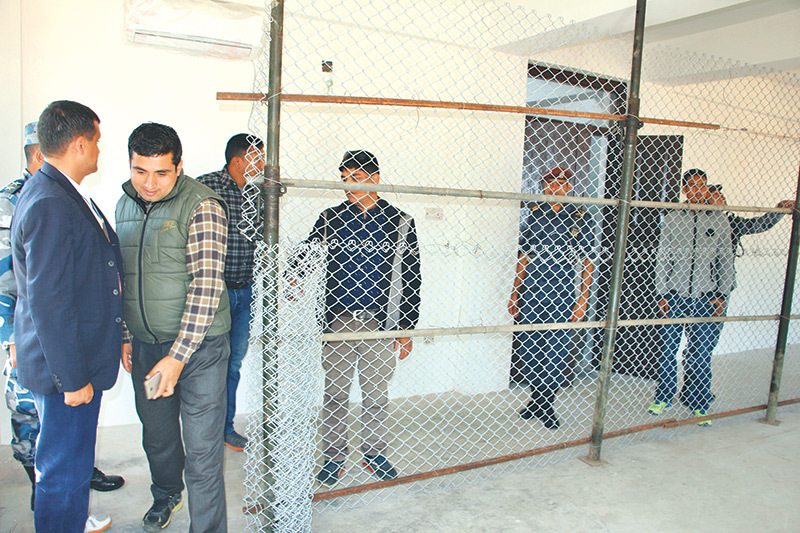 Dolakha Chief Election Officer Prakash Kumar Kafle said they had made arrangements for the vote counting inside the District Court building. “We will only let journalists and poll observers to watch and click photographs of the vote counting,” said Kafle. In Okhaldhunga, the office of the Chief Election Officer has reached an agreement with various political parties to count the votes at three places in the district. The counting of votes of federal parliament will start from Likhu Rural Municipality.